When the first spring-driven clocks were invented in the 15th century, they brought with them a conundrum that would become one of horology’s holy grails – providing constant and consistent energy to the movement. Today, the vast majority of machines run on constant force: cars and planes, for example, don’t start running more slowly as their fuel runs low. A mechanical timepiece works quite differently. The force, or torque, delivered by its mainspring varies as the mainspring unwinds, resulting in fluctuations in the watch’s timing rate over the course of its power reserve. Watchmakers, clockmakers and engineers alike have proposed various mechanical solutions throughout history for solving the puzzle of achieving constant force from the mainspring. This lecture will discuss their merits and drawbacks with a special focus on the chain-and-fusee mechanism that dominated watchmaking in the 17th century and which has seen an intriguing return to use in contemporary haute horlogerie, including Romain Gauthier’s very own Logical One. Romain Gauthier is the founder, owner and creative driving force behind the high-end Swiss watch brand Romain Gauthier. 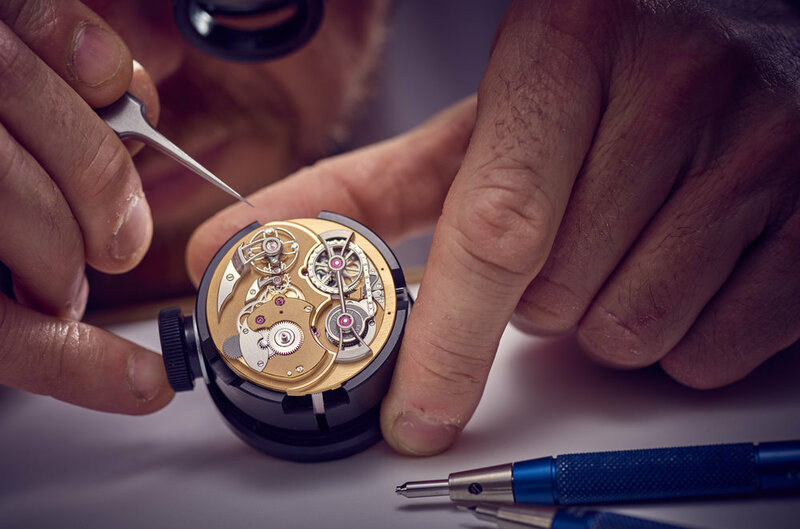 A precision mechanic with over 20 years’ experience making complex components for the Swiss watch industry, Gauthier brings an engineer’s approach to his designs for the brand’s in-house movements, coupled with an unstinting devotion to fine hand-finishing that is inspired by the watchmaking heritage of his native Vallée de Joux. Having built up a manufacture in Le Sentier, Switzerland, Gauthier is able to design and produce his own calibers from scratch. This creative autonomy gives him license to question – and come up with innovative alternatives to – watchmaking conventions, such as the way a watch is wound, the way components like gears, screws and pallet levers are designed, and the way historical mechanisms like the chain-and-fusee perform. Gauthier’s acclaimed creations include Prestige HM/HMS with caseback crown for efficient winding, Insight Micro-Rotor boasting bidirectional micro-rotor turning between two friction-minimizing ruby bearings, and Logical One featuring a revolutionary constant-force mechanism comprising a ruby-link chain and ‘flat’ snail cam. The multi-patented Logical One was awarded the prize for Best Men’s Complication watch by the jury of the 2013 Grand Prix d'Horlogerie de Genève, the Oscars of watchmaking. Copyright © 1866-2019, Horological Society of New York, Inc. All rights reserved.